Sri Lanka Corporate Health & Productivity Awards 2019, initiated by the Chamber of Young Lankan Entrepreneurs (COYLE), in collaboration with Japan External Trade Organization (JETRO), has joined hands with ayubo.life, Sri Lanka's Leading smartphone health and fitness app. The company has extended their expertise and knowledge in the process of formulating criteria for promoting healthy choices among corporates. Sri Lanka Corporate Health & Productivity Awards was initiated with the aim to maximize the performance of Sri Lankan corporate sphere by improving engagement, retention, productivity, and performance; all of which results in a healthier and positive thinking workforce which provides higher product quality and customer service. The event is accoladed as the first time that the island's diverse corporate community is being brought together for the sole purpose of raising awareness and encouraging health and productivity management programs at an enterprise level. The concept of this Award Ceremony is based on the “Health & Productivity Stock Selection” Program Held in Japan by the Ministry of Economy, Trade and Industry (METI) and Tokyo Stock Exchange (TSE). ayubo.life Chief Operating Officer Dr. Chamila Ariyananda commented on the partnership " We understand that corporates require access to curative as well as preventive solutions instead of traditional wellness models. This has driven us to serve as principle wellness partner to Sri Lanka Corporate Health & Productivity Awards 2018. We consider this event as a great initiative of COYLE and JETRO and we are delighted to stand by them and share our passion and knowledge to make it a success”. She further added “With the Collaboration of COYLE and JETRO, Sri Lanka Corporate Health & Productivity Awards is poised to advance a long journey ahead while raising public recognition of enterprises engaging in health and productivity management. Together with them we hope to create a healthy environment for the entire corporate community". 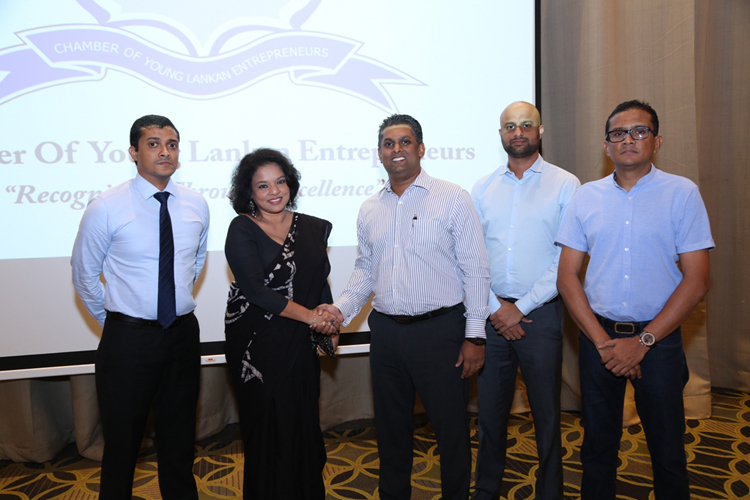 Established In 1999, COYLE is a business chamber with 120 top Sri Lankan young entrepreneurs who comprise of business owners and entrepreneurs having an extensive national and international business network. COYLE members collaborate with government officials, policymakers and community organizations to support the community and each other with the mission of building businesses and community through its motto “Recognition through Excellence. JETRO is a government-related organization that works towards promoting mutual trade and investment between Japan and the rest of the world. Originally established in 1958 to promote Japanese exports abroad, JETRO's core focus in the 21st century has shifted toward promoting foreign direct investment into Japan and helping small to medium-sized Japanese firms maximize their global export potential. ayubo.life is a lifestyle, health and fitness app, providing a comprehensive platform for all who need to stay healthy. The app connects multiple healthcare services, stores family medical records, facilitates on-demand consultations with doctors on video, keeps a record of workouts, while partnering with experts in the wellness industry to provide online wellness solutions. ayubo.life is owned and operated by Digital Healthcare Solutions Ltd., a company funded and supported by Hemas Holdings PLC.